Bristol-born mother. He began drawing at an early age and apprenticed to James Baker Pyne (a follower of Turner) in 1827. By the early 1830’s Muller has acquired a reputation for the proficiency of his sketching. His early subjects were the streets of Bristol and the surrounding countryside. 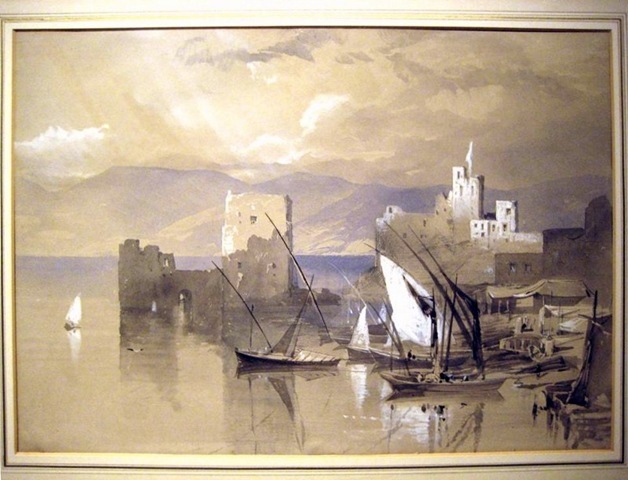 His was influenced by Samuel Jackson and borrowed stylistic elements from Samuel Prout and John Sell Cotman. This eclectic style continued throughout his career and was a particular strength of his. Is the Beirut view still for sale? Hello is this painting still available and can I ask about the price ? Is this painting still available ?